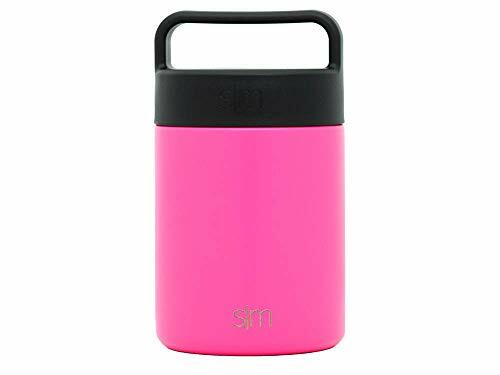 Vacuum Insulated - This purchase is for one Simple Modern food container that is double-walled and vacuum insulated. Put your tupperware, pyrex, bowls and ziplock bags away because our containers will keep your food hot for up to 7 hours or cold up to 9 hours! This wide mouth reusable jar will never sweat or be hot to the touch. The lid is double-walled for complete insulation. Made For Easy Eating & Cleaning - The mouth is extra wide so you can pour the contents into a bowl or eat directly from this container. The wide mouth makes cleaning easy, it will fit any cleaning brush or sponge.